The 15 Now campaign is growing in New York City! The 15 Now campaign is growing in New York City! After the victory in Seattle we quickly saw the Speaker of the City Council suggest she also supported $15. Yet Seattle showed that we can’t rely on promises from politicians but have to build pressure from below. With a movement we can push ‘Tale of Two Cities’ Mayor Bill de Blasio and the City Council to act. We have held major interventions across the city. 15 Now marched in the “St. Patrick’s Day for All” Parade and we have held two energetic rallies and marches, joined by Green Party candidate for Governor Howie Hawkins who has made $15 a key demand in his race for governor. On May Day, 15 Now organized a solid contingent in Union Square for a day of activities and took part in a noisy march shutting down parts of Manhattan. 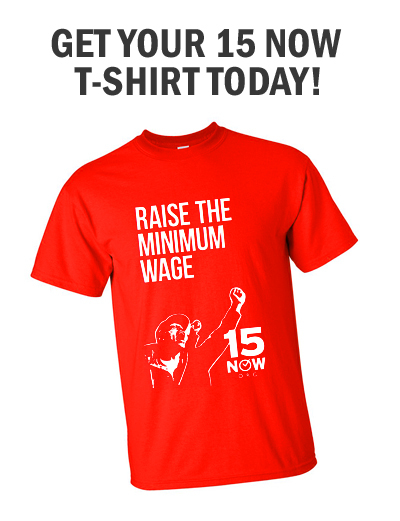 On May 15th, we joined striking fast food workers at high-energy, internationally publicized protests. The response to 15 Now has been very positive in New York. Although the State of New York holds the power to set the minimum wage, in order to win the endorsement of the labor-backed, left-leaning Working Families Party, Governor Cuomo promised this would be changed. This represents a big opportunity for the campaign. 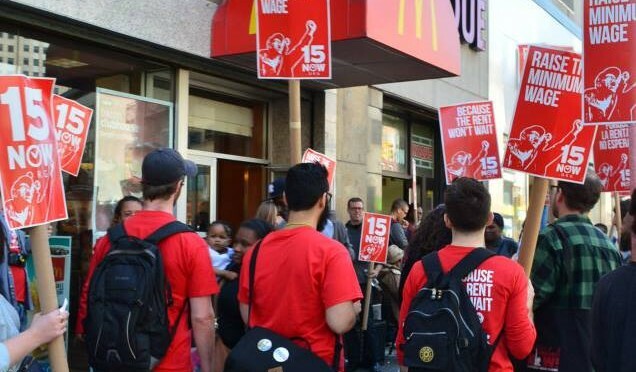 15 Now NYC plans to continue gaining petition signatures, gaining endorsements, and building a movement to demand $15. It is still the beginning of our NYC campaign but we look forward to building immense momentum over the summer. We think NYC will be a city that is truly inspired by the victory in Seattle.